For this blog article, I'm presenting another excerpt from my new book, Hacking the Out of Body Experience, which is still unpublished. Due to its size, I've broken this chapter into two articles. This is the first half. Can we use science to transform ourselves into ideal (or at least better) candidates for OBEs? I believe the answer is yes. We start by examining what scientists know about the people who are predisposed to OBEs. Then we change our habits to “reprogram” our brains for OBE using a concept neuroscientists called neuroplasticity: the brain’s ability to rewire itself. There are two kinds of OBE habits we can develop: habits that make OBEs more likely to occur (which I’ll talk about throughout the entire book), and habits to make you a better candidate for OBEs, which I’ll cover now. There are also bad habits you should break (like watching too much television) but we’ll get into those later. The first way to become a better candidate for OBEs is to meditate daily. There are literally hundreds of meditation techniques, and all of them can make you a better candidate for OBEs. While it’s important to practice OBE techniques, that’s not what I mean here. Here I want to talk about “normal” meditation; the kind where you just sit quietly, clear your mind and still your thoughts. For example, one of the most simple and powerful meditation techniques is “mindfulness meditation” in which you simply sit and cultivate a focused awareness on the present moment, and extend a loving awareness toward others. I usually meditate twice a day: A fifteen-to-twenty minute silent “mindfulness” meditation early in the morning after I wake up, and a “binaural beat” meditation under headphones in the evening. I’ll go into more details about binaural beats and other sound technologies in chapter 65. Can that make you a better candidate for OBEs? Everything I know about OBEs says yes. Of course, that doesn’t guarantee that you’ll have OBEs. Renown skeptic Dr. Susan Blackmore has meditated every day for more than 30 years, and she claims it hasn’t helped her induce any OBEs. So think of meditation as just one piece of the puzzle. Another thing science tells us is that OBEs happen more often to creative people, people who use their imaginations. In other words, people who focus on “inner events” more than “outer events.” In terms of brain science, they spend a lot of time on “task negative” brain events (mind-wandering, daydreaming) and less time on “task positive” brain events (focused tasks). In terms of neuroscience, this means they exercise, or even over-use, the “default mode network” (DMN) which I’ll cover in more detail in chapter 71. A lot of people tell me, “I used to have OBEs when I was a child, but then they stopped.” So what changed? Why do children have more OBEs? I believe it’s because they use their active imagination more than adults. Kids use their active imagination constantly. I once read an article about a 9-year-old girl who could self-induce OBEs. Someone asked her how she did it. She said something like, “It’s easy. Just pretend you’re on a roller-coaster, then try to move but don’t really move. Eventually, you’ll start to get faster and faster, and you’ll actually feel like you’re shaking. At some point, you’ll just pop out of your body.” She figured out that using her active imagination while she’s relaxed is a key factor. Her instruction to “move but don’t really move” sounds very much like an OBE technique I developed called the “Almost Move Technique” which I explain in chapter 30. As we get older, our brains and belief systems tend to, for lack of a better word, “solidify” and become more rigid. Our brains develop habitual patterns (think of them as ruts) and we use our active imagination less. So the first step is to break out of these ruts. The more you use your active imagination, the easier it will be to achieve OBEs. In my first book, I have an exercise called “Pretend Day.”2 The whole point was to get you to use your active imagination as much as you can by pretending weird things happen. For example, imagine you pull out a gun and shoot a stoplight that’s holding you back. Or pretend there are purple dragons circling in the sky above you, or balls of light encircling your head. It doesn’t matter what you fantasize about; just that you do fantasize. So to become a better candidate for OBEs, make every day “pretend day.” Learn to actively engage in playful fantasy. Don’t consider this a waste of time; consider it a necessary part of rewiring your brain for OBEs. Science tells us one of the most important attributes of OBE-susceptible people is absorption.3 I wrote about this in my second book.4 Absorption is commonly measured by the Tellegen Absorption Scale (TAS) by psychologists to test how absorbed people get in their own mental imagery, or how focused they are on inner events. According to scientists, people who rate high on the TAS also tend to be more easily hypnotized. They’re also typically better at an important OBE skill: visualization. Absorption is also strongly correlated with openness to experience. (This may suggest drugs used to treat ADD might help you focus more on OBEs.) So another way to rewire your brain for OBEs is to develop absorption. Many scientists seem to treat absorption and suggestibility as a static and unchanging trait, but I know of at least two ways to develop absorption. The first is to read (or write) fiction stories and books. I especially favor science fiction and fantasy novels that conjure up images of strange new worlds and the creatures that inhabit them, like elves, trolls and gnomes. You can lose yourself and become absorbed in a television show or a movie, but they don’t have the same effect because they feed your brain with both visual and auditory data: there’s not much creativity left for the viewer. They lead you by the nose and tell you exactly what to think and feel. When you read fiction, you do something different: you create a mental image of the events occurring in the story. As you read, try to imagine the faces of the people in the story. Try to visualize the circumstances they’re in. Try to become absorbed into the story’s plot to the exclusion of everything else in the outside world. Again, this is not a waste of time; it’s a technique to rewire your brain. The second way to develop absorption is to listen to music. I’m not talking about background music; that’s actually counterproductive. Listen intently, under headphones. Don’t combine it with anything else. Put your phone down and give it your full attention. Try to get totally lost in the music. Focus on its ups and downs, and how the music makes you feel. It’s better to listen to instrumental songs rather than songs with lyrics. Some genres of music are more conducive to this process than others. For example, as appealing as they might be to you, Country and Folk music might be poor choices for this because they tend to emphasize stories conveyed in words, using the music only to emphasize the story. Classical / Baroque music emphasizes the music only, which is better for this purpose. It’s is highly creative and can drag you up and down in wonderful ways. Unfortunately, I find most Classical music boring, so I tend to favor music with some lyrics, but where the music overpowers the lyrics, and not the other way around. I like long progressive rock songs by Yes that are heavy on music, with lyrics that are nothing more than poetry (like “Close To The Edge”), or the earlier, more progressive songs by Pink Floyd (like “Echoes.”) I also listen to progressive metal that’s music-heavy (like Dream Theater), and symphonic metal (like Epica). Bands that are “trippy” like “Dead Can Dance” are also good for getting entranced. I’ll talk more about OBE music in chapter 53. 2 Out of Body Experiences, Robert Peterson, Hampton Roads Publishing, 1997, pg. 40. 3 Seeing Myself, Susan Blackmore, Robinson, 2017, pg. 117. 4 Lessons Out of the Body, Robert Peterson, Hampton Roads Publishing, 2001, pg. 221. 5 How Enlightenment Changes Your Brain, Andrew Newberg and Mark Robert Waldman, Penguin Random House, 2016, pg. 124. It's been a long time since I've done a book review for my blog. That's probably because I was so busy last summer that I hardly took any time to read. I always read more in the winter months. 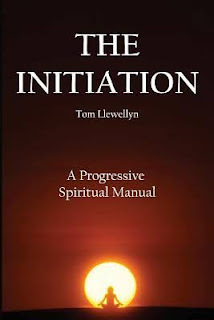 Today I'm reviewing The Initiation: A Progressive Spiritual Manual by Tom Llewellyn. The author was kind enough to send me a review copy. While it's not specifically about lucid dreaming, OBEs, or astral projection, the book progresses toward that end. The last couple chapters are about those things. I really liked this book. It's spiritual, but well grounded. It's practical, meaning it has lots of easy to understand instructions. It's progressive, meaning each chapter builds on the next and the whole book is a step-by-step journey of becoming. Chapter 9 is "The Path." Llewellyn lists these elements of the path: Fasting, Giving, Discipline, Ethics, Love, Pain, Fear, Persistence and Positive Attitude. "Once a western disciple came up to him and asked him 'How to meditate.' Initially the Baba told him to go away but as the Westerner was leaving the Baba said "Just meditate like Christ." "We always hold one jewel in the face of suffering and pain. This jewel, is the way we can respond." In the "third door" section, Llewellyn has lots of meditation exercises, and he's got a lot of them. He has dynamic energy exercises like Robert Bruce. He has breathing exercises like Bhastrika: Bellows Breath, and Kapalabhati: Cleansing Shining Skull Breath. 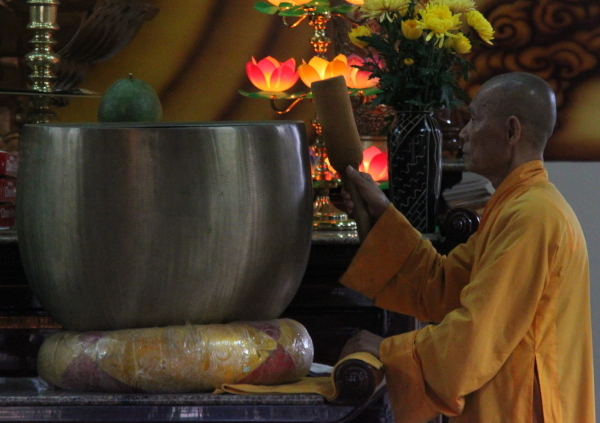 He has lots of exercises, mostly geared toward different kinds of meditation. They're all very solid, and different from most exercises you find in ordinary OBE books, but he uses a lot of these exercises to supplement his OBE techniques. In my opinion, lucid dreaming is completely different from shamanic journeying. Lucid dreams occur when the body is completely asleep and inanimate, and your conscious awareness is firmly anchored in the self-created hallucination called the dream. Shamanic journeying is more like Robert Monroe's "Focus Level" experiences in which your conscious awareness remains centered mainly in the physical body, but you observe and even interact using a remote mechanism, much like remote viewing. I found that confusing, but he does say that as you get more experience with both, lucid dreaming will start to "phase" into the astral projection state. The last chapter of the book is about astral projection, and he does give some good exercises. For example, he gives a technique called "Pulsing" which is basically the same as Akhena's "The Fire and the Diamond" technique in which you shift your attention from chakra to chakra, but Llewellyn uses multiple chakras whereas Akhena only used two: the root chakra (Fire) and the third eye (Diamond). He also recommends doing hundreds of "perineum mula-bhanda contractions." Achieving OBEs represents the final door of "The Initiation." There's one more chapter about psychic self-defense (or as they say in the UK, "defence") which is largely based on Robert Bruce's teachings. I liked this book. The writing is mature and well done. It's 282 pages, so there's a good amount of content, and it's high quality. And there are lots of practical exercises. My only complaint is that there are a lot of small mistakes. I didn't even notice it in the first half of the book, but by the last third I found a mistake on almost every page. I'm not talking about grammar-Nazi mistakes like spelling or even grammar; things like the wrong word (like physic where he meant psychic), missing words, extra words, etc. Things that a good editor would have caught, but it's easy for authors to miss because they get too close to the work. Still, the content and principles are solid. I'll give it 4 out of 5 stars.